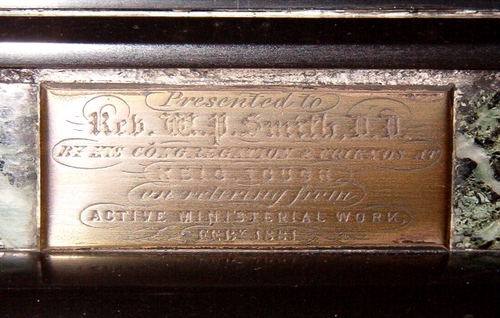 The inscription says: "Presented to Rev W.P.Smith DD by his congregation and friends at Keig, Tough on retiring from active ministerial work Feb. 1881." See also image 1109.